Winchester® White Box stands for value. Muzzle Energy: 1,306 ft. lbs. Winchester® White Box is trusted the world over for its reliability and consistency. For plinking and target shooting, you can't beat it. Lock, load, and order today! 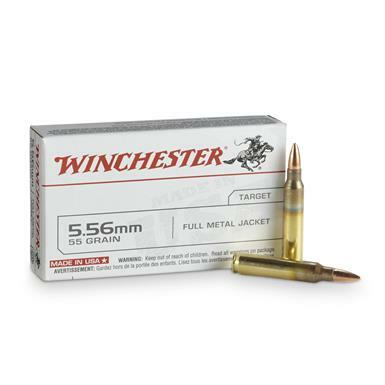 Winchester White Box, .223 (5.56x45mm), FMJ, 55 Grain, 20 Rounds is rated 4.8 out of 5 by 17. Rated 5 out of 5 by Fred from Quality Ammo No issues using this ammo. Rated 5 out of 5 by Jimbo from Excellent-No misfires-no jams !!!!! Every round fired & cycled properly! Rated 5 out of 5 by Jimbo from Excellent ! Very tight groups. Great quality control. Will purchase more of these ! Rated 5 out of 5 by dave from reliable reliable quality, no problems. 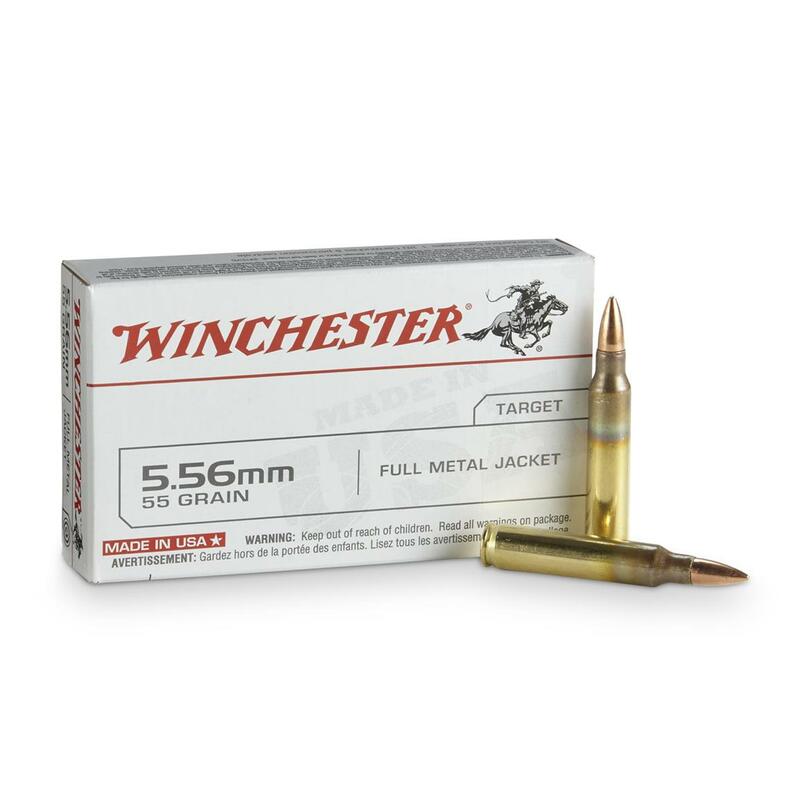 Rated 5 out of 5 by charlie123 from excellent product excellent ammo, clean accurate and clean.None can go wrong with Winchester products , and getting a fair price make it better. Rated 5 out of 5 by Mike B from Good deal You can't go wrong with Winchester ammo and Sportsman's Guide always has the best deals. Good bullet, good price. 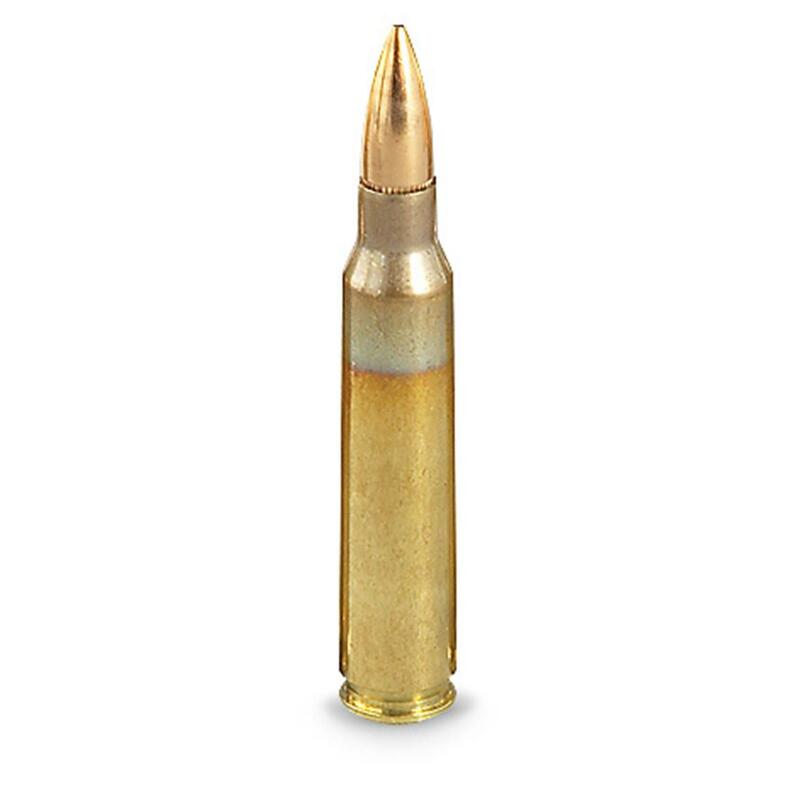 Rated 5 out of 5 by Rooster from Great Price, Dependable Ammo! No issues with this 5.56 x 45mm ammo, groups tight. Bulk up on Ball Ammo and save BIG.